A simple way to use less gas (and save money)? However, a couple of weeks ago we discovered that our gas usage (and hence our gas bill) is surprisingly high. Have you ever looked at your actual daily consumption? According to our bill, we use 11.49 units a day. That didn’t mean anything to us until we were able to compare with some other bills, and we found that ours was much higher than others who live in bigger houses and appear to use far more gas. What are we using gas for in our home? We have four gas stove tops, but the oven is electric. Our water is heated by gas (although not the washing machine) but we’re pretty good at having 4 minute showers. And that’s it. There’s no gas heating, no other gas appliances. I do a fair bit of cooking, but still, why is it so high? With the hob, I always put lids on my saucepans, and I always use the smallest ring I can, so there’s not much I can change, other than cooking less. Which means it must be the water. Ever since we went to that water workshop and dismissed water as not particularly important (perhaps motivating is a better word), we’ve been plagued by situations that have made us notice how much we take it for granted. I wrote this post about how the next day our water was disconnected for the entire day. Over the following two weeks it was disconnected twice more, both without any warning. Apparently the problem has finally been resolved, but there’s nothing like being without water to make you realise how important it is. Back to the gas. We are using gas to heat the water we use to shower, to wash our hands and to do the washing up. We don’t feel like we’re using excessive amounts of hot water, so one issue must be how hot we’re heating the water. The thermostat. To make the shower a comfortable temperature, we turn on the hot water, then add cold water to get it to the right temperature. We’re heating the water using gas, and then cooling it straight back down again. How ridiculous is that?! Prompted by the gas bill, this weekend we decided to investigate the water boiler. We live in a rental, and had to get a new boiler installed three months after we moved in when the old one exploded. (Literally.) Being a rental, the landlord installed the cheapest one possible. Interestingly, our gas bill jumped up after the new boiler was installed. At the time we assumed it was because it was winter, but now we’ve got a year’s worth of statements we can see it’s definitely the new boiler. This one has a pilot light, whereas the old one didn’t, and pilot lights burn gas, and are not energy-efficient. (If you’re interested in the physics of it all, check this out!) 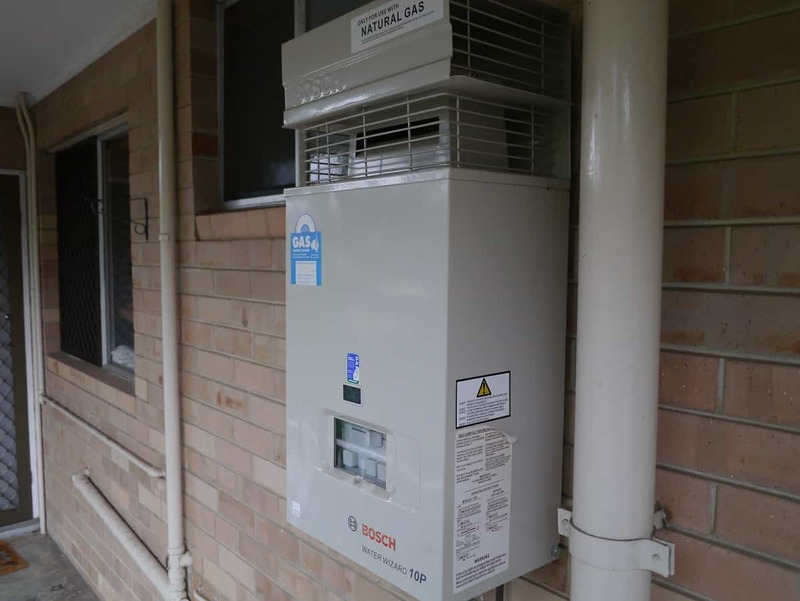 We can’t change our boiler, but we can change the settings to try to reduce our gas usage. When the cover’s taken off, there’s two adjustable knobs. One is for the pilot light, and the other is for the water temperature. That big blue flame in the middle is the pilot light. The slide-y knob below it adjusts the pilot light – supposedly. We slid it as far to the left as it would go. It didn’t appear to make any difference, but hopefully it did something. It makes sense to keep the pilot light as low as possible, so it burns as little gas as possible. The round knob at the bottom is the temperature setting. We turned that down and then tested the temperature of the water in the house, so it was low enough that the water was still hot, but there was no need to add cold water. I couldn’t believe how much gas is used when the boiler is fired up to heat the water. Having seen it in all its blazing glory, we’ve also agreed not to fire the boiler up unnecessarily. No post-dinner, pre-washing-up rinsing of dishes in hot water. No running the hot tap too long. Hopefully our adjustments will save us some gas, and hence some money. 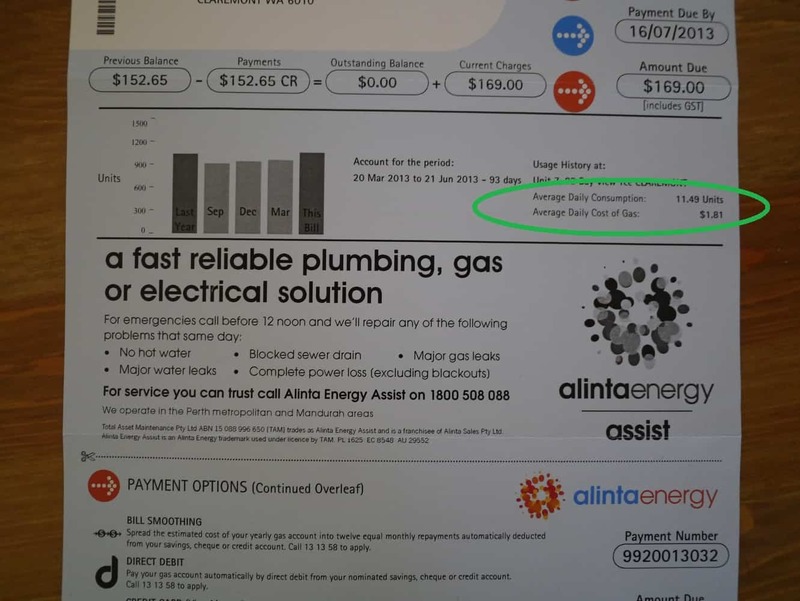 It will be interesting to see if it makes a difference (and how much of a difference) when the next gas bill comes in three month’s time. 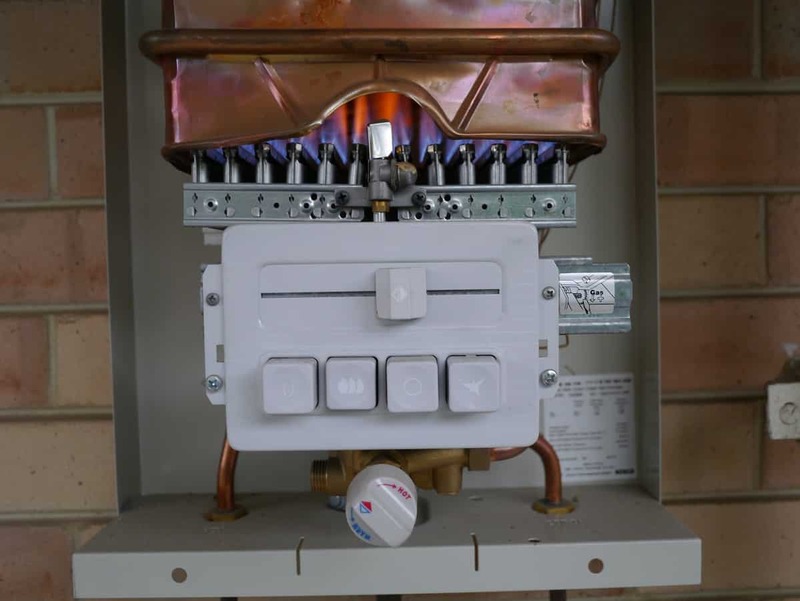 If you’ve got a gas boiler, have you checked your thermostat recently? 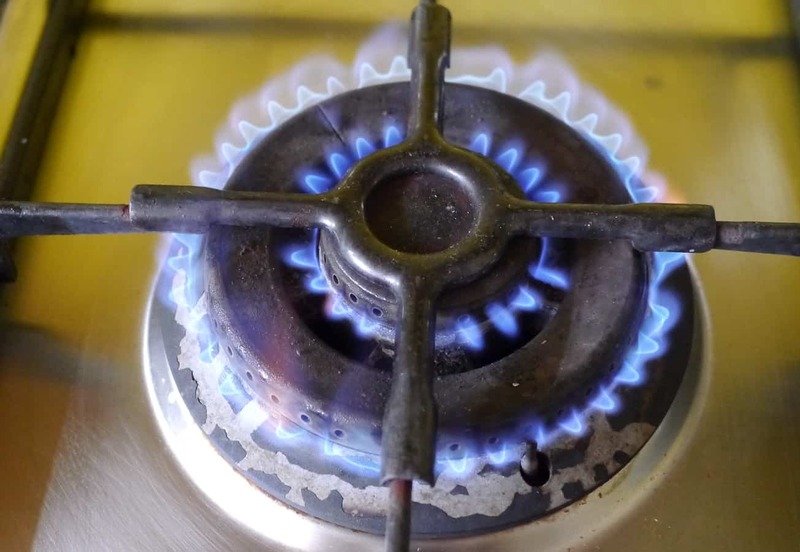 3 Responses to A simple way to use less gas (and save money)? 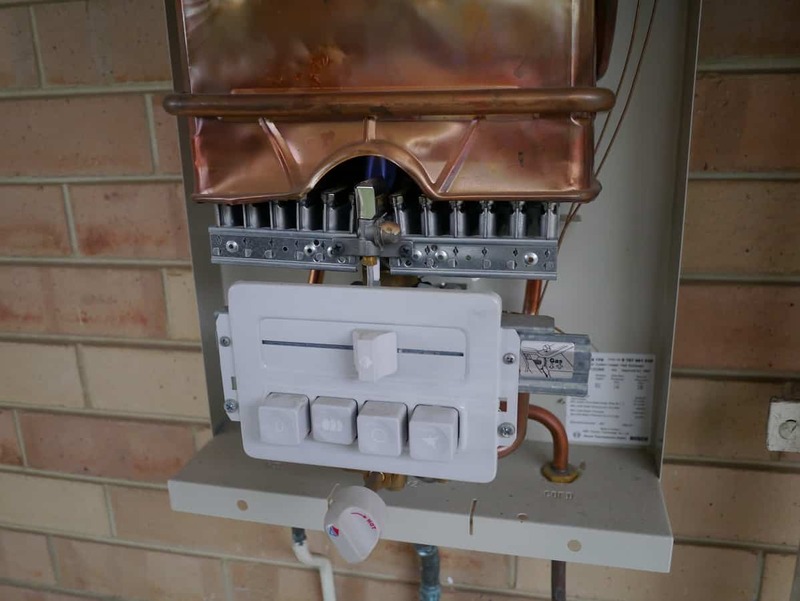 great post Lindsay – do you have access to your gas meter? if so you can start taking weekly readings – a great way to motivate you to use less! Should be in a metal coloured box near the edge of your property somewhere. I wish I had known about these blogs – we could have got you to do a series for Living Smart – reflections after each week – you have kind of done it anyway – I am going to speak to Jen about putting them on our website – what do you think. You might have to mention “at a living smart course” every now and again?? I’ll have a hunt for the gas meter! Our system is a ‘hydro-wheel’ type which has it’s positives and negatives too. the hydro-wheel ones only ignite once the water begins to run, so they don’t require a power point and only turn on when in use. Down-side is they aren’t always very effective, and you do have to wait longer for the water to begin heating.